Carlo Spiga is like many Mustang owners we know who modify their cars. Not only does he appreciate the Mustang’s performance from the factory, but he sees plenty of potential in the aftermarket. “I thought Ford was offering such great performance value in the Mustang, but it just needed a few aftermarket tweaks to give it supercar feel and performance,” he told us. Unlike many other Mustang owners, however, Carlo prides himself on doing things a little bit differently. This can be seen in the subtle appearance of both the exterior and under the hood of the Kona Blue 2011 Mustang GT, but don’t get caught underestimating the performance of his pony car. The story of Carlo’s Mustang started several years back when he purchased a 2006 Mustang GT. He installed a Vortech supercharger good for 425 rear wheel horsepower and added Tokico shocks and Steeda springs, but he felt that there was something missing from the car. “I could never make the combination work,” Carlo remembers. 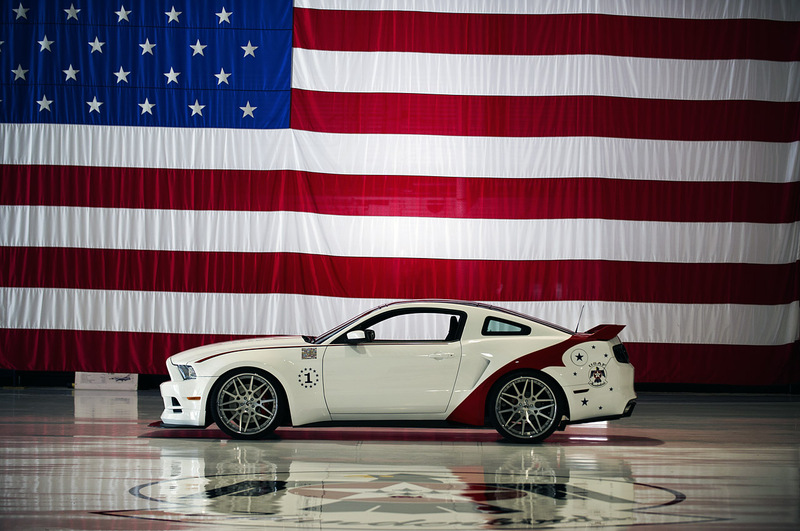 When Ford announced the new 5.0-liter V8 for the 2011 Mustang he knew it was time for an upgrade, and in June of 2010 he purchased the car complete with the Brembo brake package. 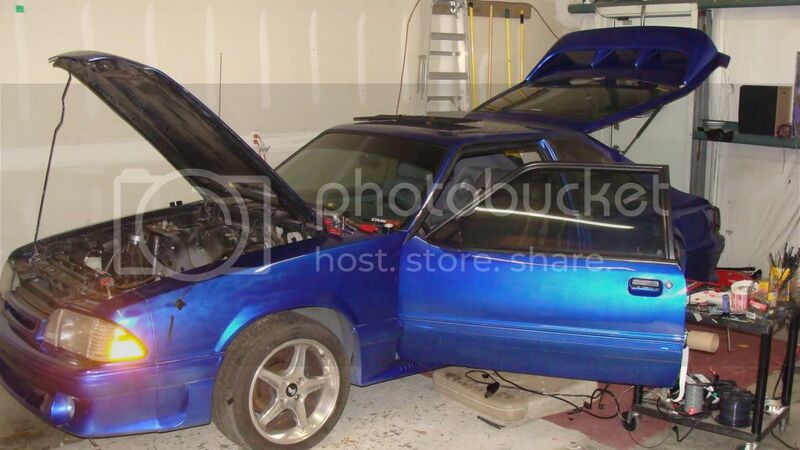 Determined to not to go down the same path that he did with his last Mustang, Carlo set about building his dream car. To start with, he knew he wanted to keep the 5.0-liter V8 naturally aspirated. “I have wanted to track my car for a long time, so supercharging just wouldn’t be the way to go,” he said. “Plus hanging 100 pounds over the nose of my car, the heat issues, and reliability on the track all made supercharging undesirable.” To hit his goal of 600 flywheel horsepower he turned to JMS Racing Engines of El Monte, CA who completely gutted the 5.0-liter V8, deck plate honing the block and removing the oil squirters. JMS then added Wiseco forged pistons, Manley forged connecting rods, Comp Cams Stage 2 camshafts, Livernois Stage 1 ported cylinder heads and Boss 302 valve springs. From there Carlo took the car to B&D Racing in Van Nuys, CA who fitted the engine with a Boss 302 intake manifold, Steeda cold air intake system and a set of Kooks longtube headers and x-pipe. A Boss 302 engine oil cooler and a Fluidyne radiator were also added to ensure everything keeps cool on track. B&D also created a custom dyno tune for the freshly installed engine, and when everything was said and done the Mustang churned out 522 rwhp @ 7000 rpm and 378 rwtq @ 6550 rpm. As far as we know, Carlo’s 2011 Mustang GT has the most powerful naturally aspirated Coyote V8 on the road. While having plenty of power was important, perhaps even more important to Carlo was that his Mustang could handle well. For the suspension system he started with a set of Steeda sport springs and X5 balljoints paired with Koni sport shocks that can be adjusted from the strut towers and the trunk. From there Carlo added rear lower control arms with relocation brackets and an adjustable panhard rod from BMR Suspension, a Steeda bumpsteer kit and caster/camber plates from Maximum Motorsports. All of the power is delivered through a Torsen T2-R differential and Michelin Pilot Super Sport tires, resulting in lots of grip. In fact, Carlo says the car almost as too much grip. As a final touch to improve handling Carlo replaced the stock Brembo brakes with upgraded slotted rotors and lightweight two-piece calipers that he says both improve the car’s braking capabilities and significantly reduce the unsprung weight on the car. Just like with the performance of his Mustang, Carlo had to do something different with the interior. While he thought Ford did a pretty good job, he wanted something more on par with modern European sports cars. “I wanted it to have a feel and finish like a supercar,” he said. There wasn’t anything available on the market that fit this vision, so Carlo decided to create it himself. He found an independent distributor of Alcantara, who made custom inserts for the doors and front and rear seats. He also added several subtle changes including a Barton Industries short-throw shifter, color-matched shift boot and a painted instrumented panel. The trunk got a makeover as well, with custom made carpeting featuring the Ford Racing logo. For the exterior Carlo didn’t want to do anything too aggressive or extreme, and he especially didn’t want to add any unnecessary components to the car. Saving weight was a priority, so he swapped out the stock hood in favor of a lightweight Tiger Racing fiberglass vented hood. It’s hard to tell in comparison to the Kona Blue, but the vents have been painted black to add some contrast. Also saving weight are the Forgestar F-14 wheels, 19×9 front and 19×10 rear, that feature a thin blue stripe around the rim to match the exterior paint. The only other visual upgrades are a Boss 302/California Special front fascia and a black Saleen billet grille. So what does Carlo have planned for his Mustang in the future? He says a new clutch to deal with the extra horsepower is on the wish list as well as a set of H&R sway bars to try and loosen up the rear end. For the most part, though, the car is exactly the way he wants it. He’s looking forward to driving his favorite roads north of Los Angeles as well as track days at Willow Springs Raceway. He’s especially eager to see how his car will stack up to not only other Mustangs but to high performance European sports cars. This entry was written by by MustangsDaily (Mustangs Daily) and posted here on Tuesday, June 26th, 2012 at 7:19 am and is filed under 2011 mustang, Feature Cars, feature ford mustangs, feature mustangs, Headline. This article was not written by us, rather gathered using RSS feeds listed here. We take no credit for this article. You can leave a response, or trackback from your own site.